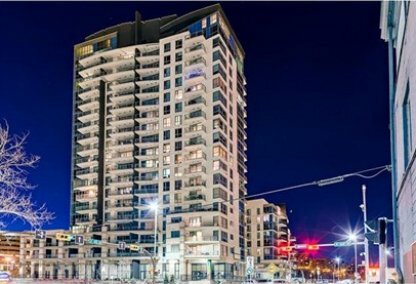 See today's Downtown East Village condos for sale in Calgary! 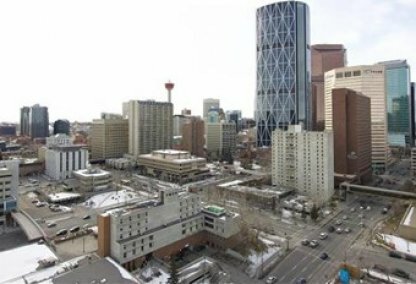 The Downtown East Village area of Calgary is a housing community confined within the city’s River District. It’s conveniently located on the eastern part of downtown Calgary, Alberta, Canada. The neighborhood is currently going through a revitalization project which was authorized by the Calgary City Council in March 2005. Downtown East Village is already known to be a distinct neighborhood, and is home to Calgary’s Chinatown. Downtown East Village housing market statistics: As of April 25, 2019 there are currently 56 properties for sale in Downtown East Village listed as active, with an average asking price of $466,989. The highest-priced property is $1,395,000; the lowest priced property can be purchased for $195,900. Downtown East Village neighbourhood listings have an average price of $581 per square foot, based on listings with 1.7 bedrooms, 1.7 baths, and 798 square feet of living space. Selling or buying a condo in Downtown East Village Calgary soon? Call Justin Havre at RE/MAX First - 403.217.0003. Our community of Downtown East Village real estate agents will help you navigate the Downtown East Village housing market in Calgary. The East Village community has undergone a period of transformation recently. March 2005 marks East Village’s Area Redevelopment Plan. The Calgary City Council, in 2007, authorized the Calgary Municipal Land Corporation to revitalize the East Village and the Rivers District properties. In connection with this rehabilitation, a design completion for a new pedestrian bridge was held in 2009 by the Calgary Municipal Land Corporation. The said bridge will connect East Village to the Bow River and St. Patrick’s Island communities. This will provide East Village with access to other neighboring communities like Bridgeland and Inglewood. Most of the residential homees in the area are composed of condominiums, townhouses, and apartments; these buildings comprised 94.7% of dwellings. Two new buildings under construction in the area are the First New Condos and the Evolution condos. A large 83.8% percent of homes here in the area are for rent. There’s also a limited supply of single-family homes available for sale. According to statistics, the median household income in East Village is $17,253. Total population in East Village according to a 2009 survey is 2,448. Downtown East Village hosts a number of neighbourhood amenities. The National Music Centre is located on the King Eddy side of the area. It’s also home to some rare archaeological discoveries of the 20th century. Amenities in the community include the newly constructed Hilton Hotel, retail shops, movie theaters, Bow River’s Prince’s Island Park, and a lot of other recreational destinations easily accessible by walking. Thinking of buying or selling a condo in Downtown East Village Calgary? Let our local real estate agents help guide you through the purchase of your next property, or to professionally negotiate the sale of your current home. As local Downtown East Village real estate agents, we're experts on the market dynamics unique to the Downtown East Village real estate. We'll get to work today! Contact Justin Havre at RE/MAX First - 403.217.0003 to learn more about buyer or seller representation. Planning to sell your Downtown East Village home? Check out our home evaluation tool, where you can instantly view Calgary Homes Values online!